​Make a TAX DEDUCTIBLE donation to The Front Porch Today! At the moment, we are an unpaid team of theater enthusiasts dedicated to telling the under-told stories of black and brown folks with the hope that we will not only be able to grow this company artistically, but also grow financially. Your support will go a long way in ensuring we are able to bring exciting theater and programming to a better and more inclusive greater Boston. All donations made to The Front Porch are collected through Central Square Theater, our fiscal sponsor and artistic home. 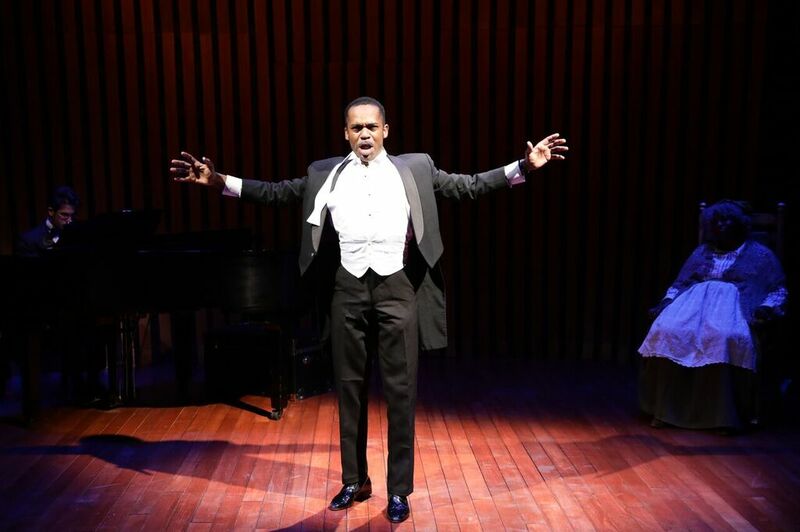 Davron S. Monroe as Roland Hayes in 'Breath and Imagination' at Lyric Stage Company. Photo by Mark S. Howard.